Pappy McGregor’s is an award winning Pub in downtown Paso Robles featuring farm to table comfort food, seasonal craft cocktails, local beers, local wines & a lot of carrying on..
A must stop when visiting Paso Robles. Pappy McGregor’s has been a local staple since 2006, winning the local choice award 11 times of Best Pub/Bar in the county every year we have been open. 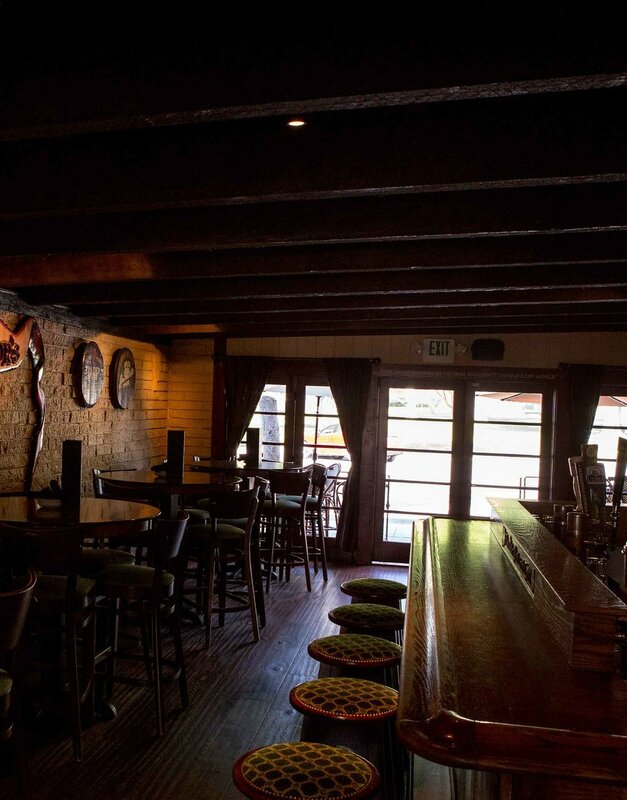 Our atmosphere is a blend of Irish traditions with American touches. Pappy McGregor's is just the right place for you to come unwind to have a cold pint, eat a great meal, watch a game, and meet up with new and old friends. We offer lunch and dinner 7 days a week, weekday Happy Hour we call “Pappy Hour” (Monday-Friday 3-6pm), Weekend Brunch, Pub Trivia, Live Music, and Late Night Dancing on Friday & Saturday’s at 10pm. Pappy’s features a fully stocked bar, local beers, local wines, two outdoor patios which are both dog friendly, a dance floor. We are also home to the best sports viewing in town, with 6 large HDTV’s, we have all the Dodgers, Lakers, Pac 12, Big 10 and NFL Sunday Ticket games on everyday. Our Executive Chef Martin Beckett has created an extensive menu made up of award winning Gastro Pub menu items. Popular appetizers include the Crispy Brussels Sprouts with toasted goat cheese, our famous Calamari, Pretzel Fondue, killer Carnitas Nachos, Thai Sticky Chicken Wings, Twice Baked Potato Skins, Fried Pickles, and Charcuterie plate. Great soups and fresh salads like the Man Salad, the Steak Wedge, the legendary Chopped Chicken Salad, the award winning Prime Rib Chili, plus French Onion & Tomato Bisque soups. Entree favorites include the 5 gourmet Wagyu Beef burgers, Craft Sandwiches, Chicken Pot Pie, Lobster Mac & Cheese, Steak and Shrooms, and the Meatloaf dinner. Chef Martin also has fresh seafood to offer including fresh Blue Point Oysters, Oyster Rockefeller, local Halibut & Chips, the best Calamari strips and Fish Tacos. He strives to impress with every meal, every plate to be a work of art and equally delicious using the freshest local ingredients he can get his hands on. Our skilled bar staff is lead by our Beverage director Andrew Miller, his team specializes in craft cocktails using an ever changing seasonal palate. Our seasonal craft cocktail menu changes quarterly, but always features favorites like barrel aged Old Fashions, Negroni’s, fruit inspired Margaritas & Mojitos, rotating Tiki Drinks, a frozen slushee’s and our 5 time award winning Bloody Mary. Our fully stocked bar is well appointed with many high-end whiskies, scotches, tequilas, mezcals, gins, local craft beers, and local wines. Please join us for Lunch, Dinner, Brunch, Happy Hour, Live Music, Pub Trivia, Late Night Dancing, Sports viewing and so much more next time your in downtown Paso Robles, we promise you will not be disappointed.